It’s that time of the year where the weather turns colder and the beers turn darker. So for this edition of rambling reviews, I’ll take a turn to the dark side to ramble about three pitch- black winter brews. 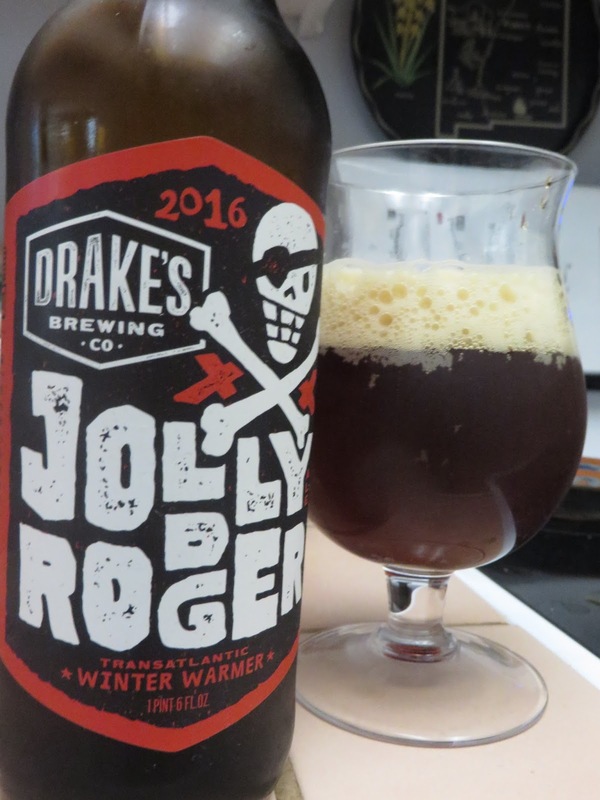 Let’s start with Drake’s Brewing 2016 Release of Jolly Rodger, which the fine folks a Drake’s Brewing sent over to sample. In a press release, Drake’s Brewmaster John Gillooly describes the 2016 version of Jolly Rodger as a Transatlantic Winter Warmer, and he used “..a hearty concoction of specialty malts, candy sugar and an especially aromatic yeast strain to brew this big, tasty ale.” How would I describe it? Very wintery. It’s a little sweet, with plenty of clove-like aromatics, a hint of spruce, and lots of toffee. At 10% abv, it’ll warm you up, but the alcohol is well buried underneath all the savory flavors. A nifty winter sipping beer. To my surprise, Drake’s also slipped in a bottle of this year’s Barrel Aged Jolly Rodger into the sample box. 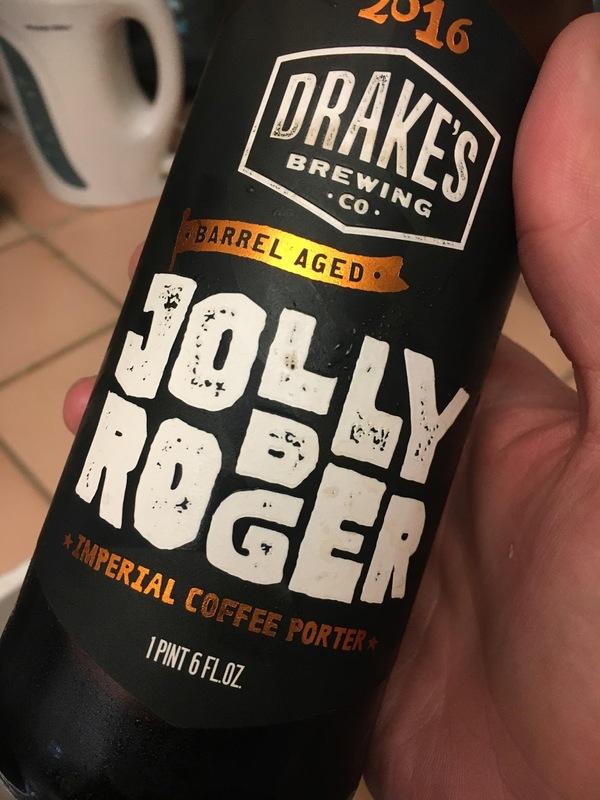 Drake’s Barrel Aged Program Manager Travis Camacho took the 2015 version of Jolly Rodger, an Imperial Porter, and aged it in High West Rye Whiskey barrels. One taste of this, and all I could say was just “Wow!”. It’s just one big, thick, honkin’ slab of flavor. The roasty coffee and bitter chocolate flavors really pop, with plenty of sturdy support from the wood-aging. Despite everything going on, it remains smooth with only the barest amount of sweetness. There’s nothing really new about a barrel-aged Imperial Porters but this one is a real find. 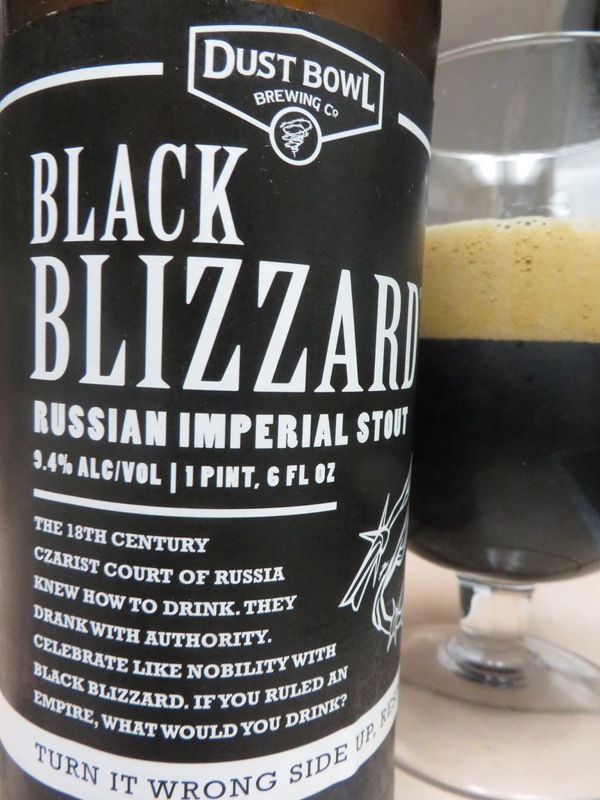 We end with Dust Bowl Brewing’s Black Blizzard Russian Imperial Stout. Dust Bowl Brewing arrived in the San Francisco Bay area just this year. Located just down the road from Modesto, CA in Turlock, I’ve enjoyed a few stops at their brewpub a few years back when I had family living in Modesto. So I was glad to see a 22 ounce bottle of this at my local bottle shop in Campbell. It hit’s all the right notes: Bitter chocolate dominates with some lingering coffee, and while it’s fairly smooth, there’s some noticeable graininess but a pleasing alcohol burn enhances the whole decadent experience. Previous Previous post: The Session #118: Who’s Coming to My Ultimate Fantasy Beer Dinner?